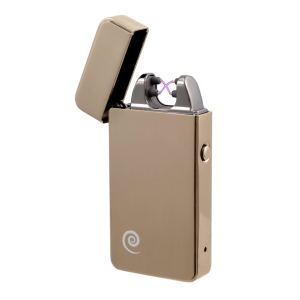 Made with Zinc Alloy, lightweight and durable. 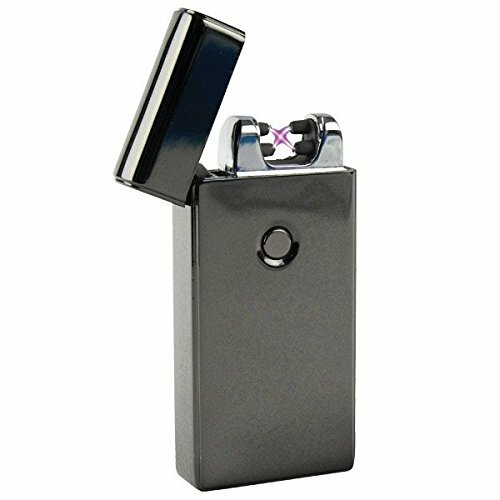 This lighter is guaranteed to work in any weather! 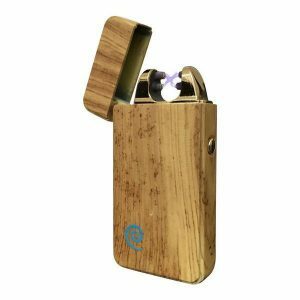 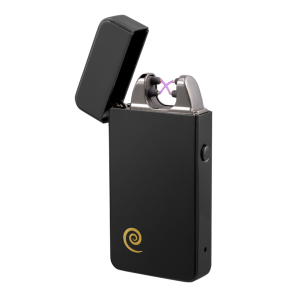 No gas or lighter fluid required, you won’t have to deal with the hassle of refilling your lighter or inhaling dangerous butane fumes. 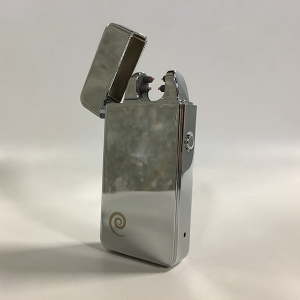 Simply charge the lighter and you’re ready to go! 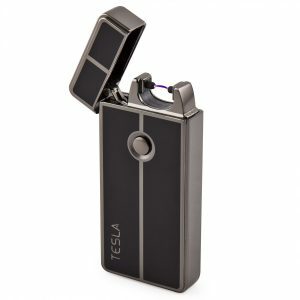 One hour charge time is good for 300 uses, which should last several weeks depending on your use pattern. 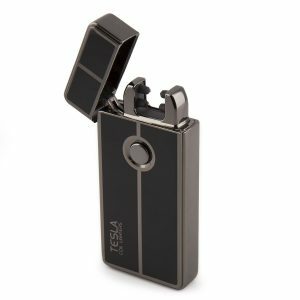 This lighter can quickly and easily start a fire anywhere. 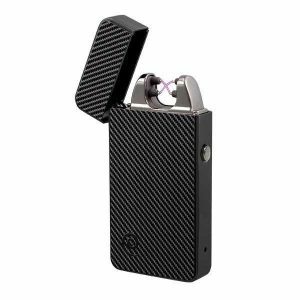 It can be used as a fire-starter when camping, and will light almost anything you can ignite with a regular lighter. 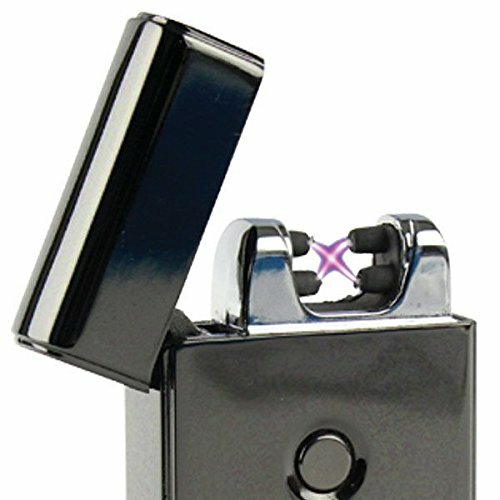 Double electric sparks makes a larger lighting surface so it’s easier to start fires. 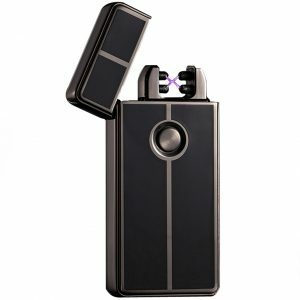 Great for gifts! What’s Included: Lighter, Micro USB Charger Cable. 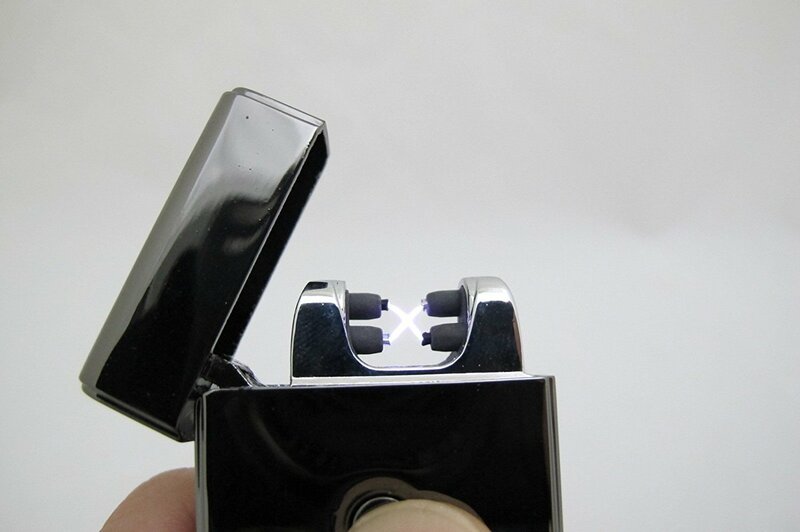 Perfect for fishing/camping trips, this lighter can act as a firestarter. 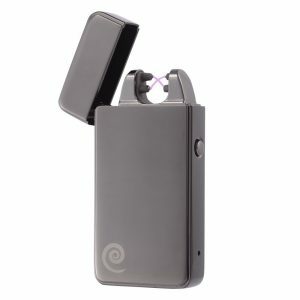 Great for fishing lines! 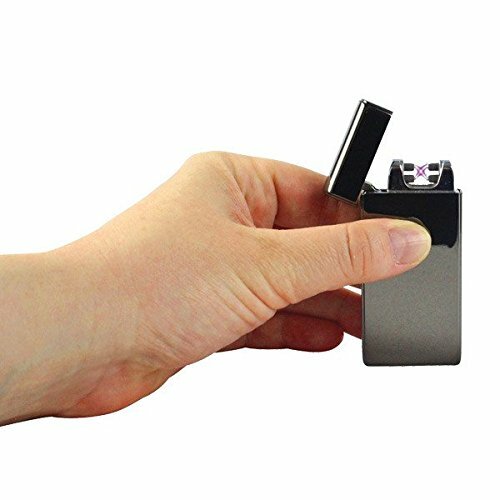 Product Dimensions: 2.9″ x 1.4″ x .5″, Weight: 2.9 oz.